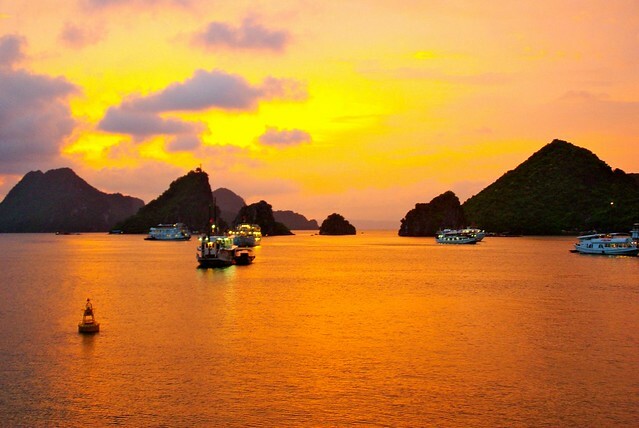 Halong Bay, an UNESCO world heritage site, has long catered to tourists visiting the northern coast of Vietnam. 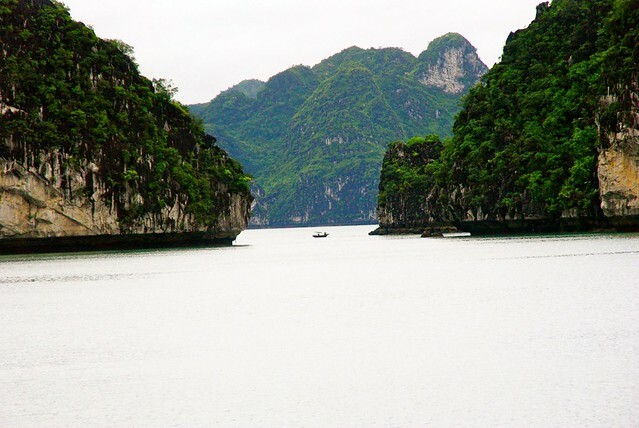 Impressing everyone with its jagged limestone cliffs and intricate topography. 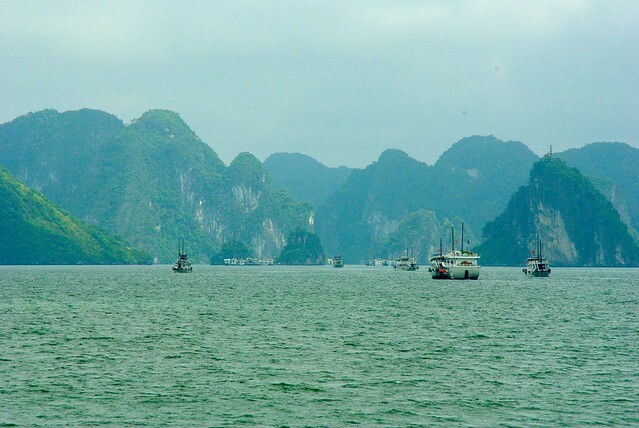 Halong Bay is located 3 hours from Hanoi, which makes a day trip difficult. Staying at least 1 night will allow you to see the bay and not leave feeling rushed. Expect a tour to include all meals, accommodation and admission fees for your activities. It is usually a full day. 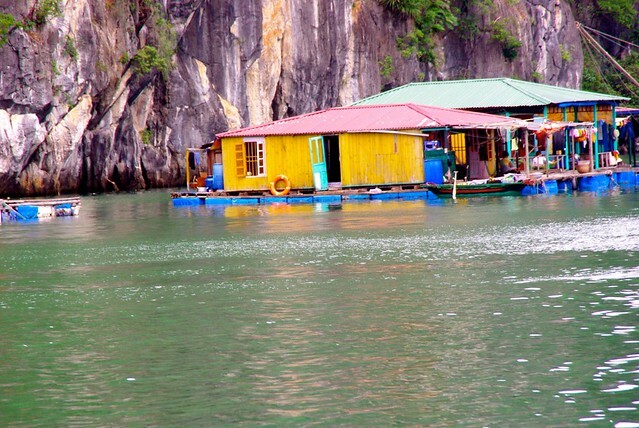 Instead of sun bathing on the top deck watching the beautiful limestone drift by, you will be kayaking, climbing through caves and visiting villages. Do they allow day trip guests on the boat? Name of the company who runs the boat? I would suggest doing your own research online. Activity specifics – when, where, how? At first glance you will look over a sea of endless limestone cliffs and the maze they create. 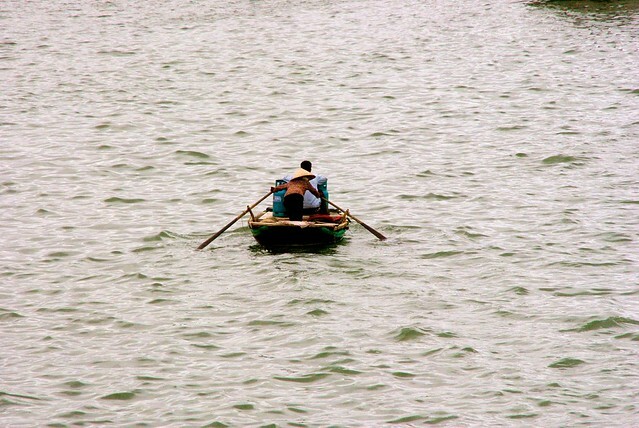 Boats fill the bay as you float along with hundreds of other tourists in search of inspiration and beauty. Look a bit closer and you will see families fishing, cooking and making a living amidst the cliffs. Ladies row their boats full of water and food as they reach out to the visiting tourists to purchase an item off their boat. The city thrives off of the tourism and are always finding new ways to engage their visitors. Reviews come back mixed from this great wonder. Some will leave it in awe and loving this vast park, while others will return with memories of the run-down boats, haggled workers and smelling the dirty water. As with any travel your expectations and attitude will play a big role in your experience. Don’t miss the sun setting over the limestone. The days are packed with energy and movement, but the nights on the bay are peaceful. Don’t skimp too much on the price. 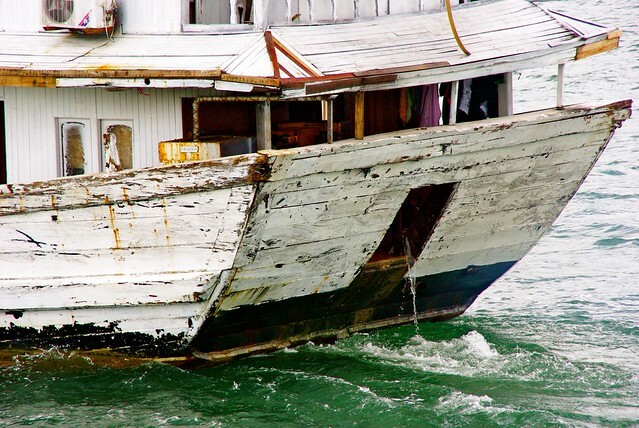 There will be a lot of tour agencies trying to sell you the different boats, some may seem really cheap, $30 for a 2 day trip. You will get what you pay for. 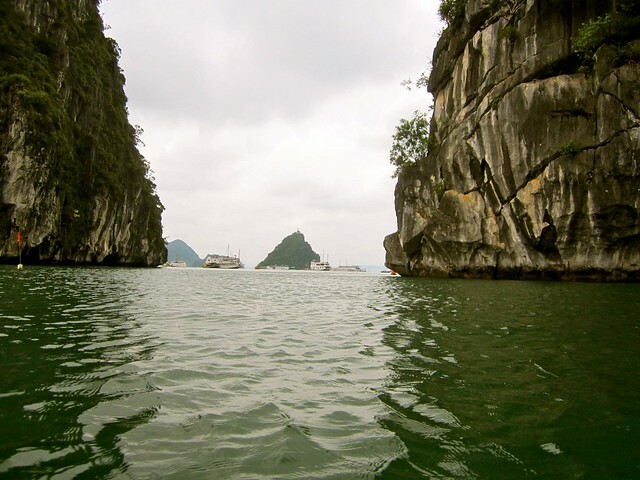 Halong Bay is a beautiful place, torn between preservation and the economics of tourism. Even with the controversy, I would recommend visiting, although sooner than later. Do you seek out natural wonders in your travels? 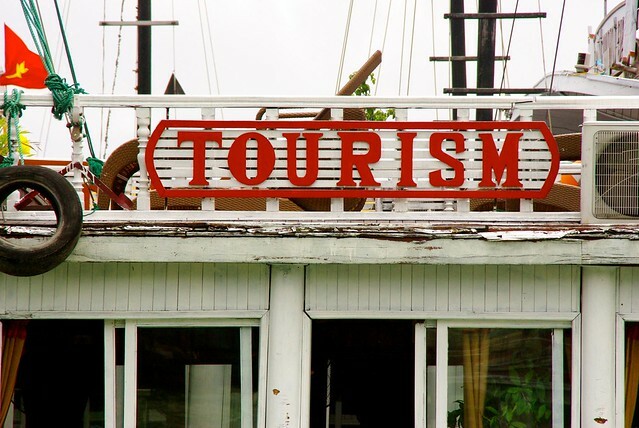 How do you feel about balancing preservation with tourism? 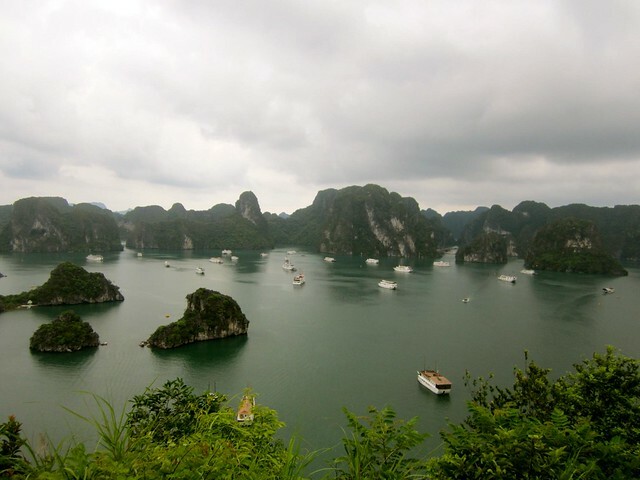 Hey guys we just made it into Vietnam a few days ago and are currently looking into Halong Bay tours. Which company did you guys go with? Would you recommend it? We booked through our guesthouse “Hanoi Rendezvous Hotel”, but I don’t remember the name of the tour company. I don’t know if I would really recommend it though. We had an alright time, but maybe not good enough to recommend. We are torn about going…decisions decisions!